Discover fast facts on China adoption plus find links to helpful resources and adoption agencies placing children from China in your state. Adopting healthy children from China has become more difficult in recent years because of increased parental restrictions on marital status, health, education, and income. As a result, many more families in the U.S. have been adopting older children, sibling groups, or children with medical conditions (often correctable) through China’s Waiting Child Program. These adoptions are often processed at a much faster rate. China is party to the Hague Convention on Intercountry Adoption, so prospective parents must work through an agency that is both Hague-accredited in the U.S. and approved by the China Center for Children’s Welfare and Adoption (CCCWA; formerly the China Center of Adoption Affairs). As of January 1, 2015, the adoption application fee charged by the CCCWA is now $1,110. For up-to-date information, visit the China Adoption page on the U.S. State Department’s website. 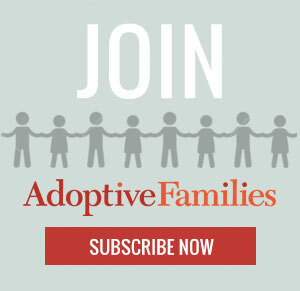 Get parent-to-parent advice and support in the China Adoptive Families group in our online community, Adoptive Families Circle. Continue reading “China Adoption Fast Facts” on AdoptiveFamilies.com. Great resource page for China. We adopted our son from China and wish I knew about all these links then. Amazing resources for China parents! Thank you for organizing this.